What is Considered to be Reckless Driving? Reckless driving often times leads to serious car accidents. In an auto accident, evidence that one driver was violating a rule of the road is often used to support a determination of who is at fault for the accident and is often considered to be reckless driving. However, every driver, even when obeying all rules of the road, is required to exercise due care and caution when driving. This requirement can see a driver who has obeyed all traffic laws to still be the cause of an accident. An example of this is reckless driving. While the law provides that driving in excess of the speed limit is evidence that the driver was driving recklessly, if another driver was not exercising due care, both drivers can be found to be at fault for a resulting accident. Driving 25 mph over the posted speed limit. Passing another vehicle on a two-lane highway when visibility of oncoming traffic is limited. Reckless driving is an offense in which the driver could be sited for as a traffic offense. When someone is cited for a traffic offense they have usually shown some kind of disregard for the rules of the road or may have caused a car accident. In Washington, the operation of a vehicle in a way that shows a willful or wanton disregard for the safety of others can be arrested for reckless driving. Activities like street racing and erratic driving can lead to a reckless driving charge. In addition to being a gross misdemeanor, with jail time up to 364 days and up to a $5,000 fine and license suspension, reckless driving poses serious risk to other drivers on the road and passengers. The following are the Washington Rules of the Road for reckless driving. 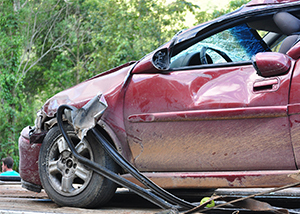 Reckless driving is often the cause of many car accident injuries. If you’ve been injured in a car accident, do not hesitate to contact the experienced Spokane attorneys at Parke Gordon Law Firm to handle your case. Disputes over liability in an accident can see those injured in an accident receive inadequate compensation. The attorneys at Parke Gordon Law Firm will work hard to get you the compensation you deserve. Contact the law office of personal injury attorney Mat Parke today for a free consultation. This is your opportunity to speak with an experienced personal injury attorney about your case for free. Call (509) 482-7274 to get started on receiving a fair settlement from your personal injury case.